Love a good book? How about one at a steal of a price? 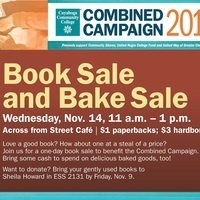 Join us for a one-day book sale to benefit the Combined Campaign. Bring some cash to spend on delicious baked goods, too!